Ever wondered what the most potent hallucinogens known are? We have, so we did some investigating, and found out how much you need of each to take off. Blasting off with hallucinogens is nothing short of mind-blowing. For many, it is truly eye opening, and one of the most profound experiences there is. However, there are quite a few different hallucinogens out there, and it begs the question, which are the most potent gram-by-gram? To try and shed a little light on this question, we have done some investigating. The following are the top three most potent psychedelics, based on potency by weight. Trying to scale it by the experience itself is near impossible, as every hallucinogen has a different effect. For example, DMT is widely regarded as inducing the most enlightening experience there is at its regular dose, yet it takes a comparatively large amount to get there. Gram for gram, DMT is not actually the most potent hallucinogen out there. It takes a 1mg dose for it to have any real effect, with 3-5mg inducing what most pyschonauts would consider a "trip". However, what a trip it induces! Whilst DMT may not be the most potent, it is certainly one of the most profound, with 3-5mg often being world shattering (when insufflated). There truly is no other experience like it, it is the ultimate trip for any psychonaut. Salvinorin A – the main psychoactive compound of the plant Salvia Divinorum – is actually the most potent natural hallucinogen ever isolated. It is so powerful gram for gram, that taking it pure can be extremely unnerving, and poses a real potential for physical danger. It is active from as little as 200 mcg, with doses above 500mcg often being classed as alarming. Despite this potency, the Salvia Divinorum plant, which is the main source for pyschonauts hunting it down, tends to be quite pleasant and tame when used. You certainly wouldn’t think it were more potent, gram for gram than DMT! However, this is down to the way it is used and absorbed. 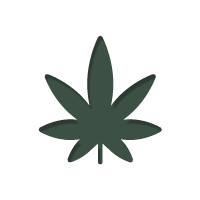 When smoked, the dose is actually quite small, and when the leaves are chewed, the dose is absorbed gradually – meaning it rarely gets out of hand. Before you run out to try and find some pure Salvinorin A, note that it is very different to other hallucinogens; it is not an alkaloid, but a diterpene. This makes the trip much less manageable for most people, and those who have tried it in its pure form are often hesitant to do it again. If you want to truly blast your mind off, there are better ways to do it. Without a doubt, gram for gram, LSD is currently the most potent hallucinogen known to man. As little as 20mcg will have an active effect on the body, causing slight euphoria and a body high. Effects increase as the dose does, all the way up to 150mcg, which induces the "normal" kind of trip LSD users aim for. Of course, dose can continue to rise, with 300mcg being the upper limit for most veterans. This isn’t to say you can’t go higher, but from here up, things start to get really intense – and this is still a minute weight! It just goes to show that potency can be both a subjective, and literal thing. The hallucinogenic experience of DMT is said to be the most profound, and as such, considered the most potent. Yet scientifically speaking, it is technically inaccurate. It is LSD that is strongest, and can blast you off into a pleasant and soul searching experience with the least weight.